WASHINGTON, D.C. – Ninety-two nonprofit organizations from around the country received $8 million in grants from the U.S. Small Business Administration to help low-income and very low-income entrepreneurs with training and technical assistance to start, operate and grow their businesses. The grants, delivered under the Program for Investment in Microentrepreneurs (PRIME), also will provide capacity-building services to microenterprise development entities to strengthen the quality of their programs. Competition for PRIME grants was open to applicants in all 50 states and the U.S. territories. Last year, SBA funded 58 grants in 32 states on a highly competitive basis. 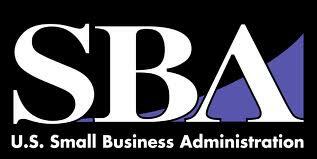 This year, SBA received 215 applications. A total of 92 grants were awarded this year to 57 second-year recipients and 35 new participants from 43 states, Puerto Rico and the District of Columbia. PRIME grants are intended to help small businesses with five or fewer employees that are economically disadvantaged, and to businesses owned by low-income individuals, including those residing on Indian reservations and tribal lands. Such help is offered through a network of qualified nonprofit organizations that provide business training and technical assistance. Grants ranged up to $250,000 this year, with a 50 percent match required of each recipient organization. The PRIME grant is open to microentrepreneur training and technical assistance providers in all 50 states and the territories, and has a one-year performance period, with four 12-month options. For a complete list of recipients, Click on “SBA PRIME Grantees (by State), Fiscal Year 2010” at: http://www.sba.gov/financialassistance/prospectivelenders/prime/index.html.